Mark welcomes Janet Farrar and Gavin Bone to the show. 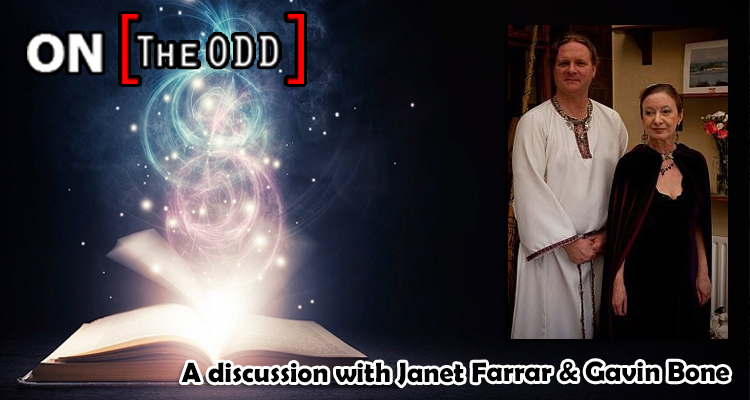 Janet Farrar is a British Wicca priestess and teacher, and co-author of several influential books on Wicca and Neopaganism. She has been one of the most public faces of Wicca during the second half of the 20th Century, and is considered one of England’s most eminent and respected modern day witches. Gavin Bone is an author and lecturer in the fields of magic, witchcraft, Wicca and Neopaganism, and an organizer in the Neopagan community. He has made important contributions to the evolution and development of the modern day witchcraft movement. Gavin has trained as an rn and studied complimentary healing methods such as reflexology as well as a practicing spiritual healer.